I recently added a new appliance to my kitchen. 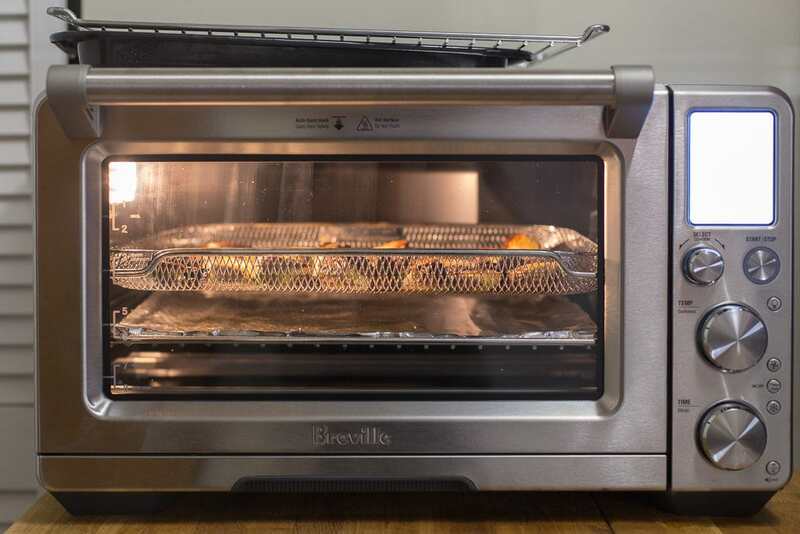 The Breville Smart Oven Air has replaced our tiny Panasonic Science Oven (not its actual name) for good. Brendan and I decided to buy this behemoth of a toaster oven as an anniversary present to ourselves, and I’m so glad we did! I cannot wait to play around with all of the different functions and programmable settings. I love how sturdy and generously-sized it is, and the precise heat and convection settings are so much easier to control than our simple gas oven. 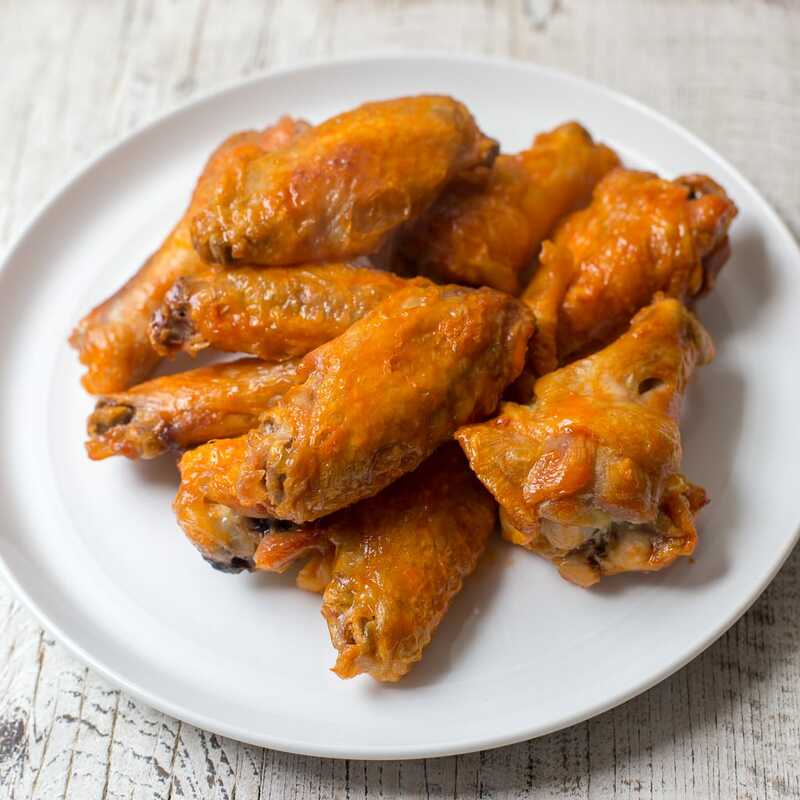 Chicken wings get nice and crispy on the air fryer setting, and they’re so easy to make. They go straight from their package to the mesh metal air fryer basket (one is included with the oven), and I found that they didn’t require any flipping during cooking. I cooked the wings for a half hour at a moderate temperature, then gave them a final 10 minute blast at 425ºF to really crisp them up. After that, I just sprinkled on a bunch of Frank’s RedHot sauce and tossed the wings until they were evenly coated. Easy peasy. I love that there’s no need for added fat with air frying, and a good amount renders out of the wings as they cook. The air frying basket is generously sized, and you can even buy extra ones and double your air frying capacity. Brussels sprouts turn out great too! See the foil on the rack underneath, for easy cleanup. One mesh basket can hold about 2 pounds of wings, but I like to keep the batch a little smaller (1 to 1 ½ pounds) so that I can center the wings in the basket, place some foil on a rack underneath the mesh basket, and let it catch all of the dripping fat, rather than having it drip onto the heating elements or the base of the oven. Keeping the wings in the middle of the basket ensures that the fat doesn’t splatter on the sides of the oven as much, too. 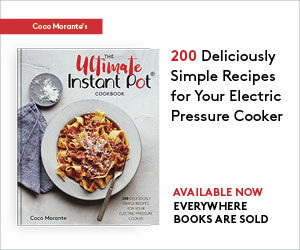 If you don’t have a Breville Smart Oven Air, you can make this recipe in a dedicated air fryer, or in a convection oven, on a wire metal cooling rack on top of a sheet pan. 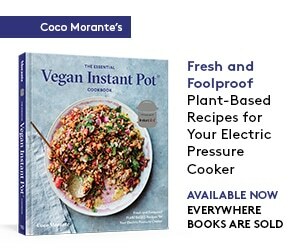 If you’re looking to add a new gadget to your kitchen (and you’ve got space for a mega-sized toaster oven), though, I’d recommend picking this one up! An easy, delicious snack. They're best when they're still warm, but my husband eats these cold out of the fridge, too. Preheat the Smart Oven Air to 360ºF and set it for 30 minutes, with the air fryer mesh basket inside. Place a sheet of aluminum foil on a rack underneath air fryer basket. Use a pair of tongs to arrange the wings on the air fryer basket w/oil-lined pan underneath. Bake wings for 30 minutes. When the timer goes off, raise the temperature to 425ºF and set the oven for 10 more minutes (leave the wings in while the oven is preheating). When timer goes off again, the wings are done cooking. Use tongs to transfer the wings to a large bowl, and sprinkle hot sauce evenly over wings. 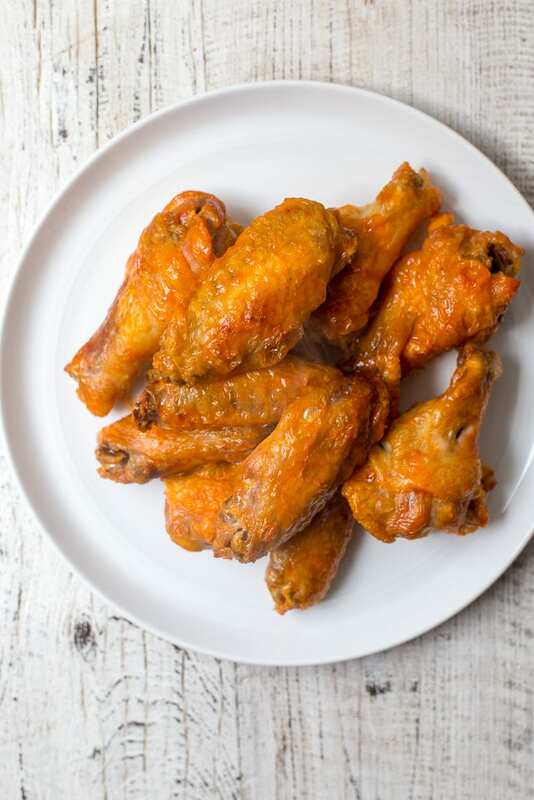 Toss the wings until they’re evenly coated with the hot sauce. 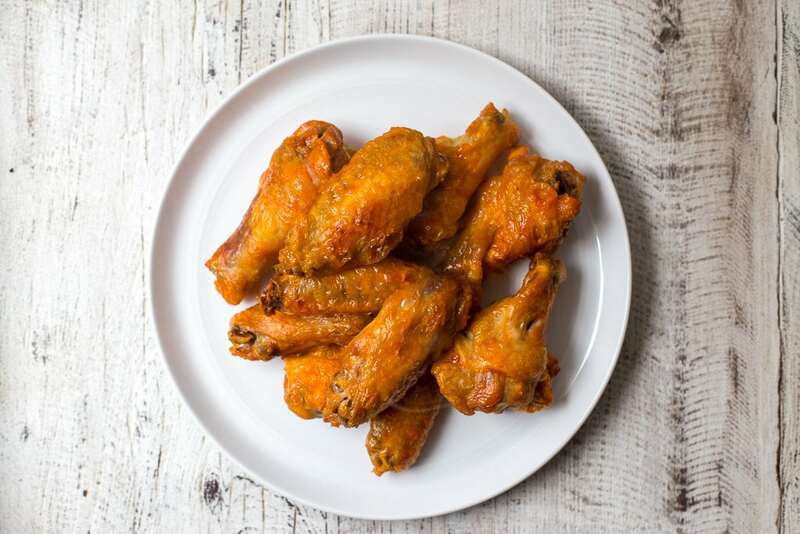 Transfer the wings to a serving dish and serve them warm, on their own or with celery sticks and bleu cheese or ranch dressing. I’ll try this one tonite! Aunt Marla doesn’t like wings, but she is in Chicago!!! Wow, Coco! 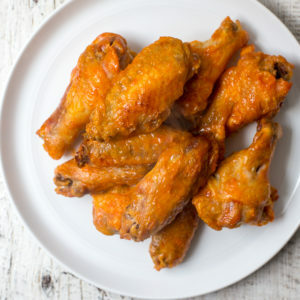 Never thought that preparing wings could be this easy and only with two ingredients! Thanks, I must try this one! Works great with pigeon wings too! Made this and topped with butter and chopped garlic and Cholula hot sauce (Keto Diet Approved :-))…. Came out crispy and juicy and super simple. Can you cook them from frozen? If you can fit them in a single layer in the pot and they’re frozen individually, not in a solid block, I think they’ll cook fine! I would add a few minutes to the cook time. We loved this recipe. Thank you! It was our first air fry in our Brevelle. We appreciate the aluminum foil under the air rack suggestion! We did up the heat and flipped them halfway through. That’s the only adjustment we made. They are outstanding.